Today we celebrate one of the world’s most revered icons of the Mother of God—the Vladimir icon. Tradition has it that this icon, which is now preserved in a church attached to the Tretyakov Art Gallery in Moscow, was originally painted by the holy Apostle Luke, to whom the Most Holy Theotokos entrusted the production of her image for the support of the faithful. Archimandrite Job (Gumerov) of Sretensky Monastery talks about the icons painted by St. Luke. Vladimir icon of the Mother of God. 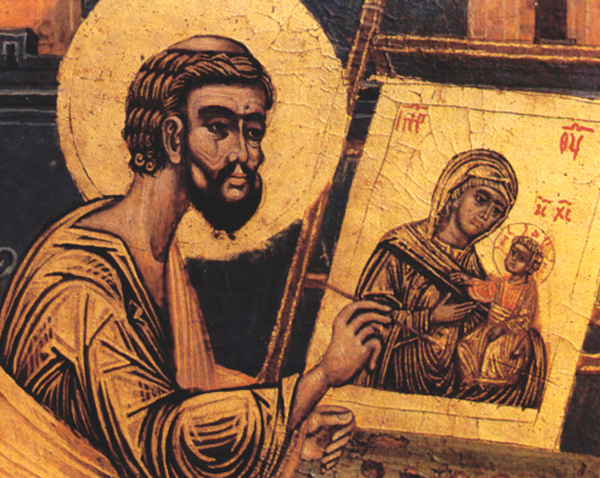 The holy Church from antiquity preserves the tradition that the apostle Luke the Evangelist was the first person to paint an icon of the Mother of God. In a stichera for the feast of the Kazan icon of the Mother of God (October 22), we hear: “The proclaimer of the Gospel mysteries, who was the first to write Thy icon, brought it to Thee, O Sovereign Lady and Thou didst make it thine own; and having made it powerful to save those who honor Thee, Thou didst rejoice for Thou art merciful, and bring us salvation.” The distinguished Russian researcher N. P. Kondakov in his work dedicated to the icon of the Mother of God, “Hodigitria”, wrote based on Byzantine sources, “Futher, tradition confirms that this icon was painted by the Evangelist Luke himself at the blessing of the Mother of God herself: ‘May my grace be with this icon’. It was then sent to King Theophilus in Antioch, and after it was transferred to Constantinople, it was placed in the Blachernae Church. The whole web of these traditions is woven around certain historical facts, but either of varying times, or in another order. The ancient tradition that says that the holy Evangelist Luke painted this icon of the Mother of God goes back as far as the eighth century. According to the Lives of saints, this testimony was cited by Patriarch Germanos, in an epistle to Constantine Copronimos attributed to St. John Damascene, and in an epistle of the patriarch to Emperor Theophilus. This tradition was finally confirmed by the ninth century” (Iconography of the Mother of God, v.2 [Moscow, 1998] 153). 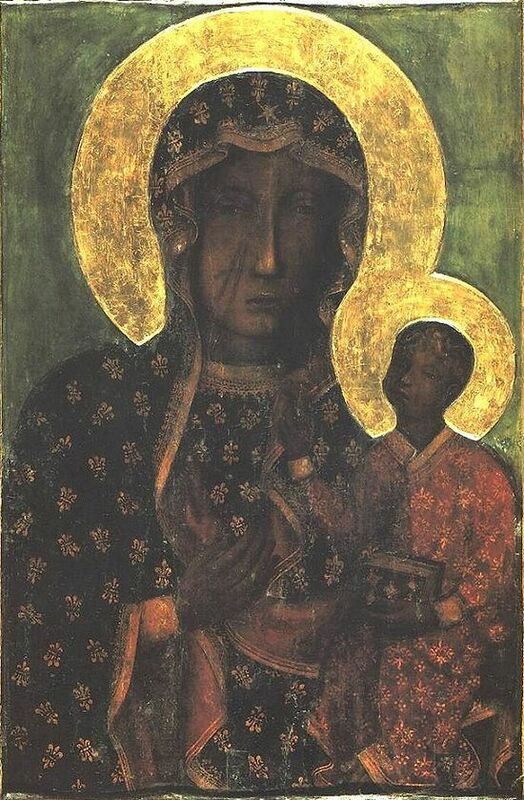 Częstochowa icon of the Mother of God. 1. 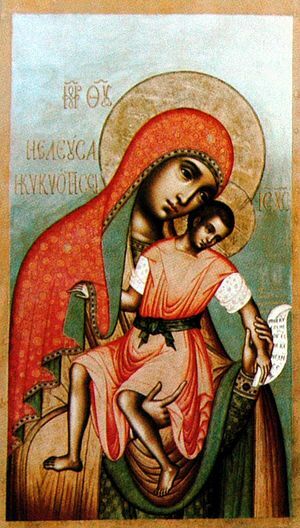 The “All-Merciful” Kikkos icon of the Mother of God (commemorated December 26/January 8 and November 12/25). It is located in the Kikkos Monastery, Cyrus. 2. 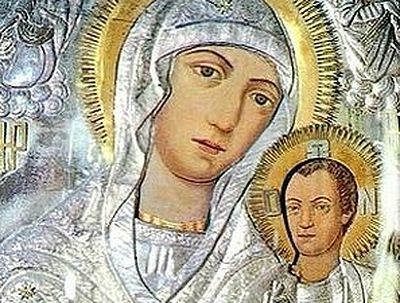 The Częstochowa icon of the Mother of God (March 6/19). It is located in a Catholic monastery on Jasna Gora in Częstochowa, Poland. 3. The Vilnius icon of the Mother of God (April 14/27). 4. 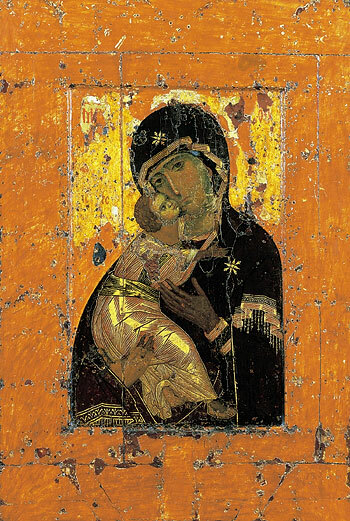 The Vladimir icon of the Mother of God (May 21/June 3; June 23/July 6; August 26/September 8). It was painted on a board from the table at which the Holy Family took food. 5. 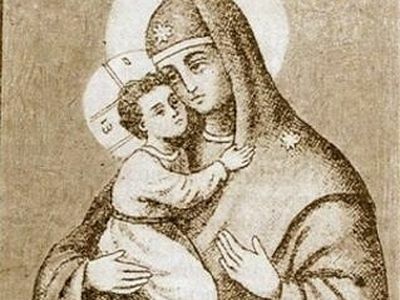 The Hodigitria-Smolensk Mother of God (July 28/August 10). It is located in the Smolensk Cathedral. 6. The Khakhula icon of the Mother of God (August 15/28). It was located in the Gelata Dormition Monastery near Kutaisi, Georgia. 7. The Korsun icon of the Mother of God (October 9/22). It was brought by Holy Equal-to-the-Apostles St. Vladimir from Cherson to Kiev in 988. 8. The Jerusalem icon of the Mother of God (October 12/15). More information can be found on these icons and the miracles associated with them in the book by E. N. Poselyanin, The Mother of God. Description of Her Earthly Life and Miracle Working Icons (Moscow, 2002), books 1–2 (Russian). (If anyone can recommend a reliable book on this subject in English, please do so in the comments section.—Trans.). The Khakhula icon of the Mother of God. 4. Santa Maria della Consolazione, and others. 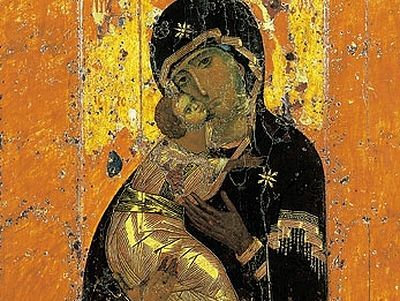 The histories of Moscow and of the icon of Vladimir Mother of God are eternally inseparable. How many times did the Mother of God save the capital city from enemies through the grace of her holy icon? This icon has linked Apostolic times to Byzantium, Kievan Rus’ to Vladimir Rus’, and later to Muscovy, the Third Rome; as it is said, “there will be no Fourth.” The kingdom of Moscow was formed by divine providence and embraced the mystical ties of ancient empires, historical experience and traditions of other Orthodox peoples. 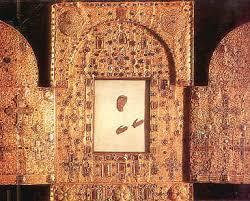 The miracle working Vladimir icon became a symbol of unity and succession.